A dark star fell from the sky bringing with it the end of all things! The sanctity of the world known as Abaddon was shattered when a global apocalyptic event of a meteor impacting the planet causing a destructive ecological and eldritch change. Now there is no day or night, just never ending Apocalypse. An undead world ruled by fear and horror. Undead nightmares prowl the darkest forest with malevolent ghouls, grim demonic fiends and horrific vampires prey on a fearful populace. The world is dominated by the monstrously powerful immortal evils that reign supreme over this world. And with all this the mysterious force known as Nightwall. Evil dominates the world to be challenged by noble heroes fighting to take back a world that should belong to them. Are you willing to take up the fight? – Asi Magnor: Sheathed in fragrant wrappings and armored by magic and sheer age, the undead emperor Asi Magnor conquered the world both before his death and after. He radiates malevolence and power, desiring to clutch the world in his claw-like hands or to crush it beneath his sandaled feet. – Calix Sabinus: Wings spread, maw agape, sheathed in leather and gold, and spun from the blood of thousands stands Calix Sabinus, god-emperor of the undead lords, bringer of death, destroyer of angels, a power before the Cataclysm, a tyrant after. – Reikenjo, The First: This monstrosity of flesh has myriad dripping tentacles that seem to writhe of their own accord. At the heart of this mess of viscera is the vague form of a man, his eyes gleaming with hatred and dark cunning. 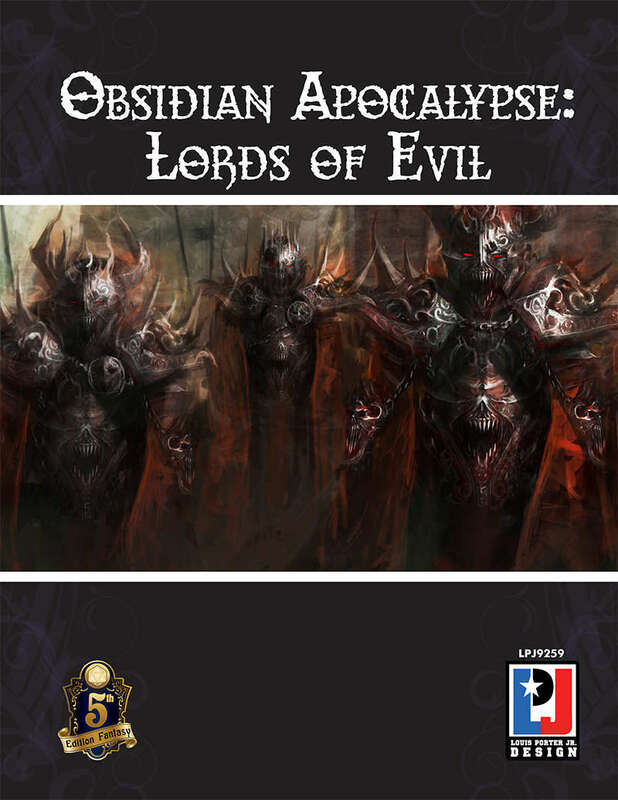 Please purchase this product at RPGNow.com!